To join this group, please contact group leader(s). Beads2Jewelry invites all members interested in learning to make jewelry. 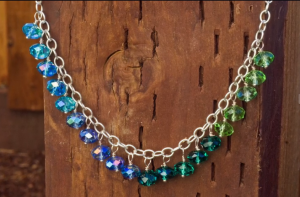 Our meetings include sharing our work, bead and finding discussions, and examples of how to make jewelry. 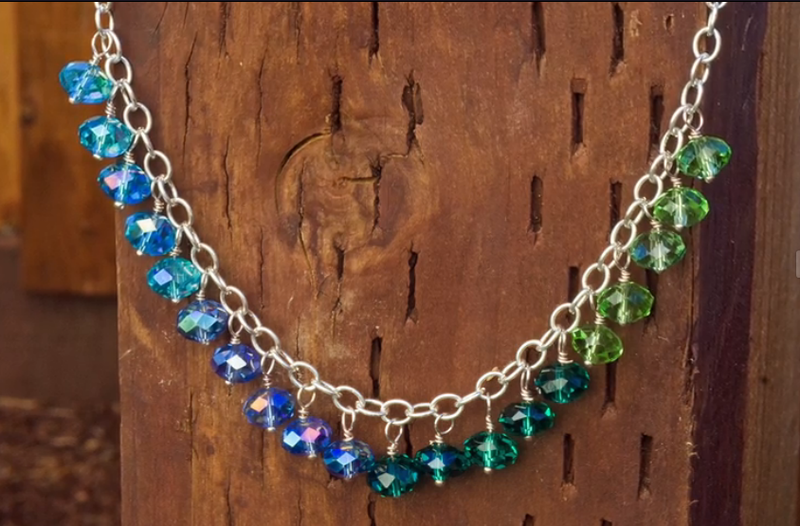 We also attend special bead and jewelry functions as a group. Meeting home rotates, and a materials list will be provided for each meeting. 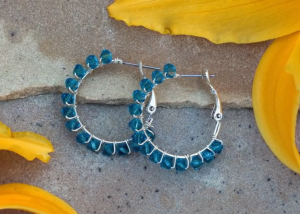 Earrings: Need 26 gauge wire wrap, 2 1″ hoop ear rings, size 4mm faceted bicom crystals (28 – about 14 per each ear ring), wire cutters. I used 15 each as that is what came in package. A super easy project. Start at the top of the opened hoop ear ring and using 18″ of cut wire wrap around three times and push them together. Then add a bead and do two wraps around the hoop. Push the wraps together. Continue doing this until all the hoop ear rings is covered. Do three wraps of wire at the end. Trim the wire close to the hoop when done.